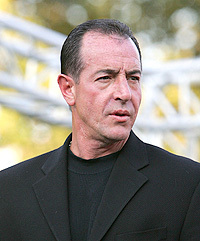 Michael Lohan spoke exclusively with “Extra” Wednesday about his relationship with Lindsay and his estranged wife, Dina. Michael’s reaction to the new photos that surfaced of his daughter, Lindsay, out of rehab and tanning was not one of approval. The ongoing custody battle between Michael and his estranged wife, Dina, has made national headlines.